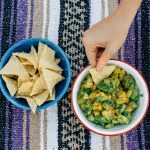 This mango guacamole is a citrusy, tropical snack that is easy to whip up during your next camping trip. The sun is starting to go down but it’s not quite time for dinner. You’re hungry, but not that hungry. Perhaps you’re enjoying your favorite camp beer and want to snack on something salty and crunchy. Or maybe you’re feeling a little low-energy and want something sweet to wake you up. 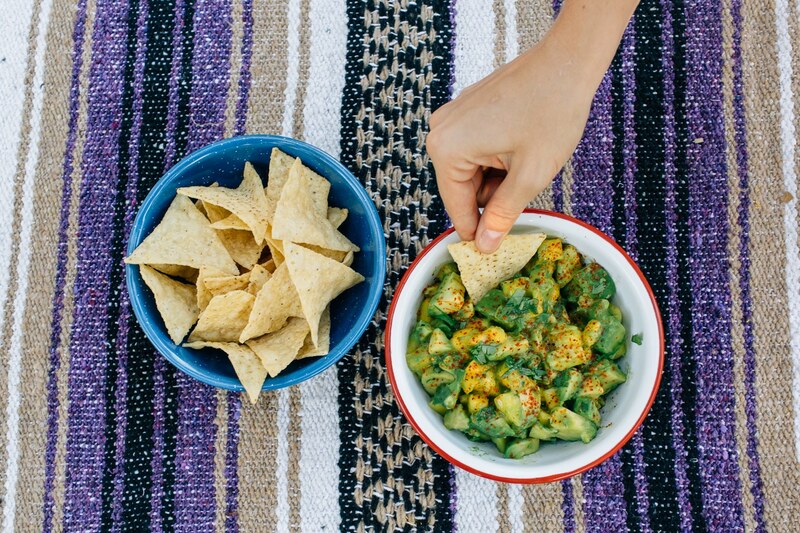 But now is not the time for more trail mix, now is the time Mango Guacamole! A bag of chips is just a bag of chips. But a bag of chips with freshly made guacamole is cause for a minor celebration. 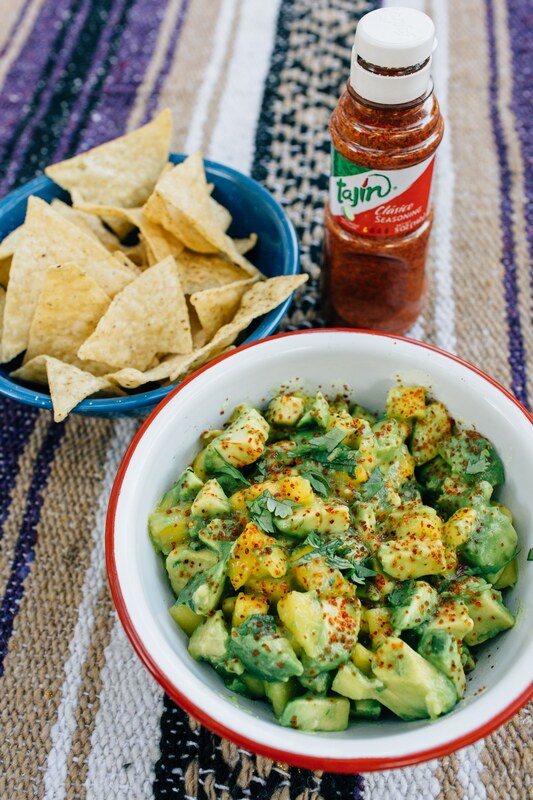 Now, there’s a lot of personal preference when it comes to guacamole. The recent kerfuffle over the use of peas in guacamole shows just how adamant some people’s views are on the subject. For this version, we’ve opted for a bright tropical twist. Something that balances sweet and spicy, with a big zesty kick. As a general rule, nearly every grocery store is in the business of selling woefully under-ripe avocados and mangos. Not a problem! Just pack them away, preferably in a brown paper bag, and bring them out on the second or third day of your camping trip when people’s supplies and expectations begin to dwindle. At this point, the avocados and mango will be perfectly ripened and you’ll be hailed as a guacamole God. Chop the avocado into ½ inch pieces. 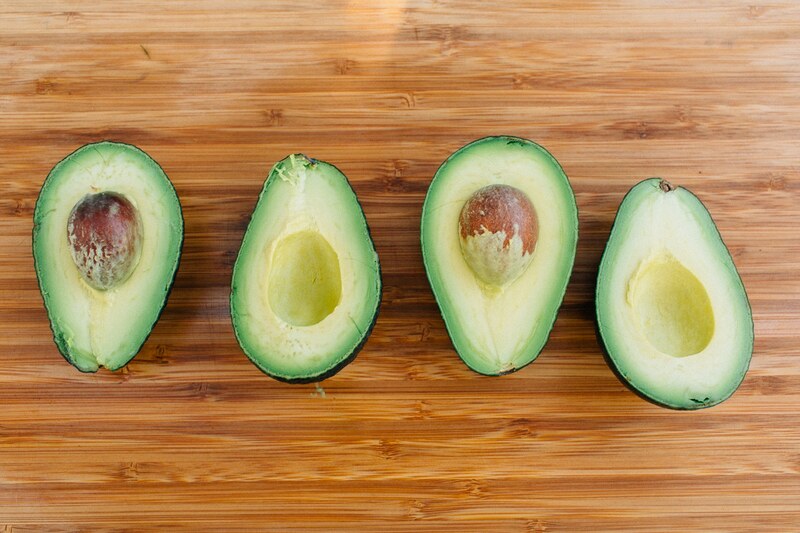 The easiest way to do this is to slice the avocado in half, remove the pit, and then use your knife to score the avocado into cubes (be careful not to cut through the skin). 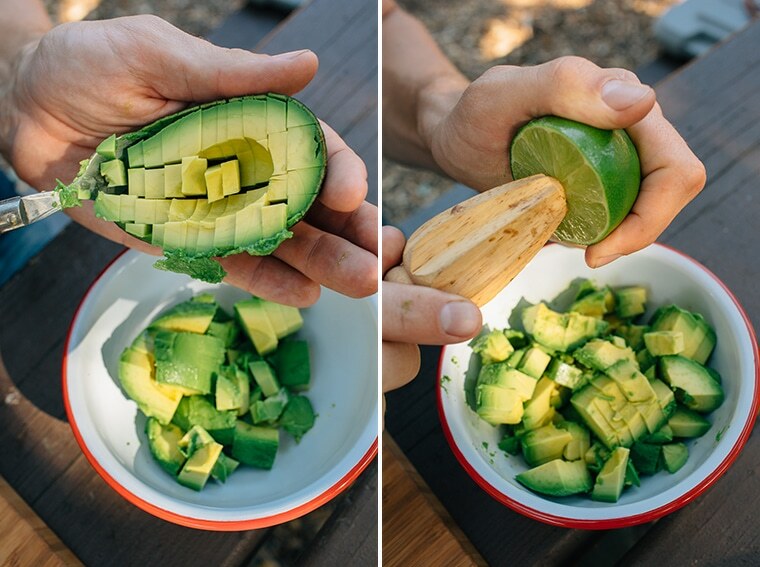 Use a spoon to scoop the avocado out into a bowl. Chop the mango into ½ inch pieces. I learned to do this by watching this video (skip to :50). Add the mango pieces to the bowl with the avocado. Slice the lime in half and squeeze the juice out into the bowl. Add in the tajin seasoning and salt to taste. 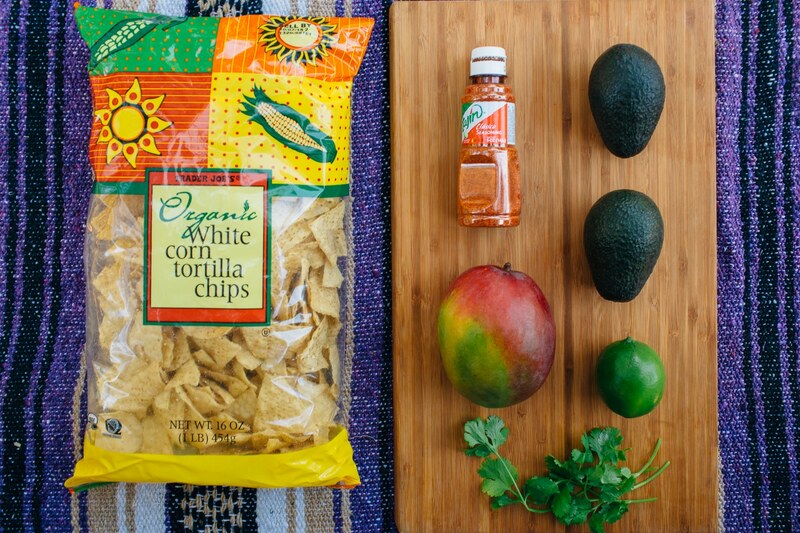 Toss and serve immediately with tortilla chips. If you make this easy snack next time you’re camping, let us know! Leave us a comment below or follow us on Instagram @freshoffthegrid and tag your camp cooking photos #sporkandknife so we can check them out!